Elberton spray foam is an important factor to achieving thermal comfort for the buildings occupants, and thermal spray foam insulation reduces unwanted heat loss, and reduces the energy requirements of cooling and heating systems. Thermal spray foam insulation simply refers to the insulating materials being used to slow heat loss. One of the most effective types of Elberton insulation spray is polyurethane foam, which has been specifically formulated for use within the industry. This type of foam is a very cost effective material, and works in two ways by keeping the desired space or area warm in winter and cool in the summer. It can also help with the problems that arise from condensation, and is an ideal solution for ambient and cold storage. Polyurethane foam is easy to apply, lightweight in structure and can cover large areas quickly and efficiently, making it a very cost effective solution for many commercial requirements. 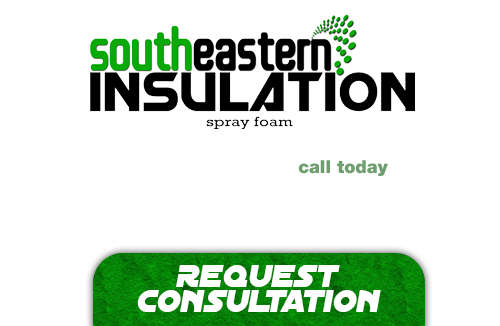 At Southeastern Insulation we are quite proud of the service that we offer our many customers. We even use this insulation in our own homes, and are passionate about the services that we provide. If you want to make the most out of your energy savings, make certain to get the service of the professional team who know exactly what it takes to make that happen. 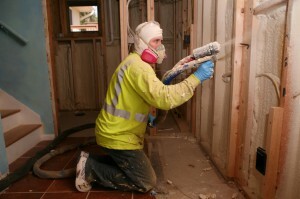 You cannot go wrong in turning to the experienced staff of Southeastern Insulation. We will help you make the most out of your energy dollars. This exciting form of spray foam insulation offers exceptional protection against heat loss and even will help to boost the structural integrity of your Elberton home. This brand of foam insulation is made of a polyurethane compound, and is strong enough to even be used for outdoor usage. If you want durability, and exceptional insulation that will last a lifetime, then closed cell foam insulation is the right choice for you! With the many health risks associated with insulation removal, this is a process that you should never undertake on your own. There are many different health risks that insulation can present, and you should never breathe in the substances that can become airborne during the removal process. Instead of putting yourself at risk, have your insulation properly removed and disposed of, by the team at Southeastern insulation. If you’re looking for a professional Elberton Spray Foam Contractor, then give us a call today at 678-561-FOAM (678-561-3626) or complete our request estimate form.